Millipedes and centipedes are not technically considered insects because they have so many legs, and while they are similar invertebrates, there are also many differences between the two. When left outdoors, millipedes pose no real problems, but when found on your property, they can be a nuisance. Feeding on organic materials, millipedes are found in damp, decay-promoting environments, such as under rotting logs, wet foliage, as well as in basements and greenhouses. Keeping the exterior of your property free of leaf buildup; cleaning gutters and around the foundation; and ensuring downspouts and condensation-causing agents are controlled will help you reduce your risk of getting millipedes in your property. More of an inconvenience than a threat, millipedes can be removed and a prevention plan put into place. 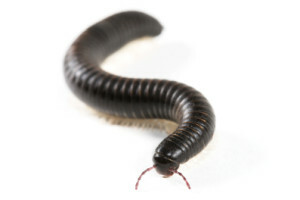 Call Strategic Industries to discuss your best options for millipede pest control.